Baby Draculaura caught a cold while playing in the rain with her friend so she rushed to the doctor. Go through a complete check up and give her a special treatment for baby monsters. Take her temperature, listen to her heartbeat and give her the right medicine that will cure her flu. Two or three pumps of nasal spray, magical coughing liqueur and a few breaths in the oxygen mask will make baby Draculaura feel brand new. Now that she is all healthy and well again, she can put on the raincoat and go out to play some more with her Monster High baby friend. Catrine is really exhausted from all that painting and she needs a special spa treatment to relax. This monstrous doll loves purrrfection so you need to help her look flawless and chic. Clean her face using all those creepy beauty masks, then make beautiful combinations in the make up stage. You've got tens of options when it comes to long eyelashes, glittery eyeshadows and blush, just rely on your artistic instincts and find a cute match. The best part is the dress up, Catrine is a clawesome artist with a high sense of fashion and style. Pick up a bohemian outfit, add a scarf and make this doll look magnificent! Everyone knows that there is a huge fear that conquer all the patients when they are about to go to the dentist. If you ever tried that, then you will soon remember how is to stay there in the dentist clinic waiting for fillings, teeth cleaning, tooth extraction, denture, teeth stains removal, X-rays or even a dental surgery. It is crazy, a crazy dentist office time! Your job is to diagnose and cure your patients who are sick and in real pain. Use your crazy dentist skills and operate in this classic game. Tonight there will be held a famous skating dance in the center of the city. Lots of famous stars have been invited to join in this gorgeous skating dance. Cara is a girl who loves skating very much. So she decides to dress up beautifully to attend the mystery skating dance. You need to dress up her well for the dance by selecting one perfect outfit that she likes best and the best skating shoes for her. Moreover, you can also choose one mysterious mask for her. 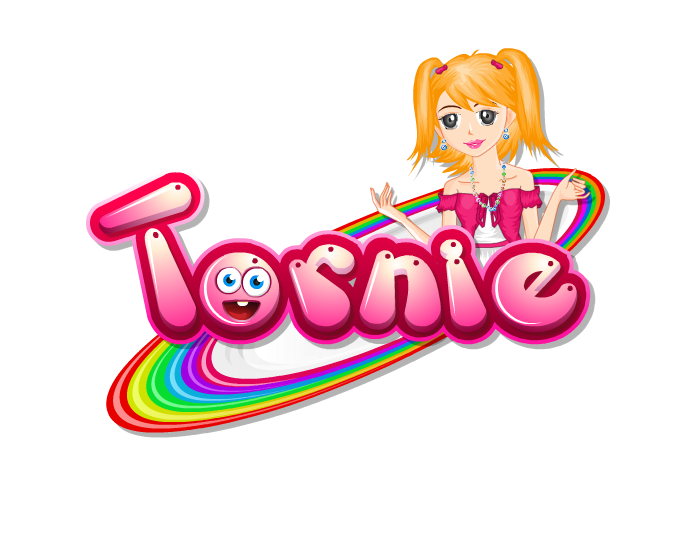 Show us your fashion talent and have fun in this brand new girl dress up game. Baby Deni is having some big problems from birth at her right eye and now she needs a fast surgery to get rid of the glasses. Use all your surgery tools and hurry up to surgery her eye before the problem is getting bigger. Valentine�s Day is coming up and this girl needs to get ready by picking the best make up clothing fashion, and cute accessories to make her beautiful. Use mouse to interact. In this cooking game you will learn how to cook a fantastic tart, absolutely delicious, Strawberry Hazelnut Tart. In the first part of the game, you need to buy the ingredients, then you need to mix all the ingredients following the in game instructions. After the base is ready, you need to prepare the cream and mix this cream with strawberries. Apply the strawberry cream on the hazelnut base and you will obtain a delicious dessert for you and your friends. Enjoy cooking games and Have fun! Adolescence is a very difficult time for any girl, so don�t think that you are the only girl with skin problems, acne and others. Princess Harriet is facing same skin problems but she also find some treatments that will make it go away. Play this makeover game and start following Harriet advices: apply masks and scrub that contains olive oil and fruits, then make sure you are using a perfect moisturizer. After your face is clean you must arrange and pluck your stubborn eyebrows. Only after you complete these steps and your face is clean you can apply makeup like mascara, lipstick, blush or others. Good luck! Hey girls, I want to introduce you a new cooking game! 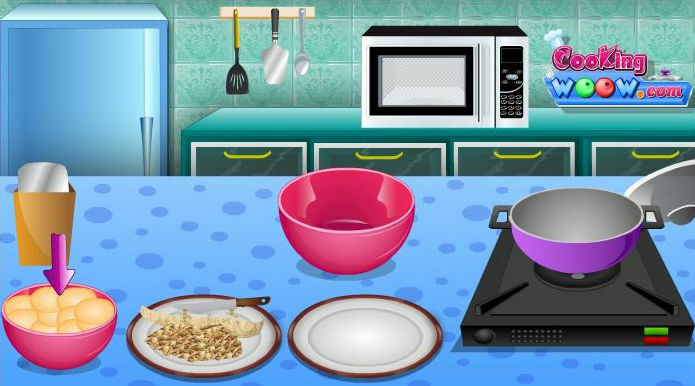 Here you can test your cooking skills and also have fun in the kitchen. It�s very important to know how to cook some recipes and the most important are dessert so today we are going to prepare a delicious cupcakes recipe�with a little love on the top. Cute Heart Cupcakes is my favorite dessert, it�s sweet but not too much, it contains cream and also marzipan. Let�s see how it�s made: first we have to purchase the ingredients, then to prepare, mix and bake a the dough. At the end you have to create little heart shapes for decoration. Good luck and enjoy! Joanna is going on a mini holiday with her best friends. They are going on Hawaii for a weekend to enjoy the awesome weather there. 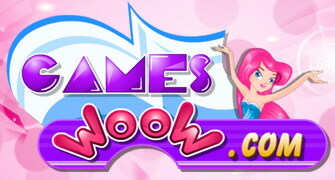 This is a nice dress up game in which Joanna is the main character. Your mission is to choose all the fashionable clothes that she could take with her in Hawaii. Her friends are already ready for the trip and they are all waiting for Joanna. Dress up Joanna in each dress you want and give her the jewelries that completes her outfits. The Pizza Master wants to make a particular type of pizza. He wants to bring something new on the market and in every pizzeria. He studied the culinary art for one year in Italy and he is ready to revolutionize the old style of cooking. Learn some tricks from the great master because he will tell you everything you want to know. Pizza cooking is a pleasant job and your stomach will thank you if you are going to make one. Baby Monster has some nose problems in this new doctor game and you will need to fix them as you are the best at this. All the tools are ready for you so jump right in and follow the instructions. After a long day at school, every girls want to do something to relax. Here is what I suggest: put your oven gloves on and start making a delicious dessert recipe! Cooking is one of my favorite activities and it seems to make me very happy and relaxed. And the result�is magnificent! Nothing compares with some homemade cookies, and this recipe will proof it. You should try it right away, it�s simply to prepare and it takes only few minutes. Have fun! Fluffy cute Rat. Oh no! but now she looks untidy. Rat Seeks your help to clean and dress up her. What you need to do is, clear the mud and clean her. Trim her nails and give some polish. Feed some healthy food and make her tummy full. Then give her a stunning look by your unique and trendy ideas. Enjoy caring!!!!! A surprise for you! Yes, this time you have a chance to beautify the all time favorite and attractive American actress Marilyn Monroe. Make her look more beautiful with your makeover skills. This model needs a pretty dress for the fashion show. Please help to her. Get ready for a cool and fun game. Match the fruits according to the customer wish. Click the correct fruit to complete the order. You have only limited timing and chances, manage to complete the targets. Beware, for every wrong click, you lose your life. Have Fun!!! Emma is working really hard because she wants to go shopping tonight with her friends. She took a job as a waitress because the more money she has the more clothes she can buy. Help Emma with her job. She has to catch the flying dishes in order to earn money. Show her how you do the things here and impress her with your skills. When Emma has enough money for shopping she can start her fashion session. Create a fabulous outfit for Emma. Choose the items you want, add them in the cart and then buy them. Dora has some nose problems and in this Dora doctor game you will be here to help her by using all your tools and following the instructions that will guide you throughout the full intervention. Go into Barbie's bathroom and find out her amazing beauty routine! Apply beauty spa treatments on her face and hair so that she feels fresh and full of energy before a fun night out. The bath must always be followed by a make up and fashion delight! Go for a sparkly or a natural look and make dozens of combinations with colorful lipsticks, eye shadow and blush. Pick up a cute hairdo, her blonde hair is really amazing and it will go with any outfit. Pink cute dresses, t-shirts, skirts, accessories, you have everything you need to Barbie look gorgeous and have loads of fun!